There was a huge turnout for Vendors Initiative for Social and Economic Transformation (VISET)’s Community/Street Parliament Session which was held in Chiwundura Rural on Tuesday the 11th of September at Gambiza Shopping Center. Over 130 Informal Traders/Residents, 3 Chiwundura Councilors, 15 local Headmen and 3 Community Health Workers participated at the event whose aim is to amoung other things the creation of an inclusiveengagement platform where informal traders and ordinary people engage in dialogue with elected officials who ran for parliament and council seats to discuss their post-election plans with a specific focus on their plans for vendors and the informal sector. The meeting had to be moved from the Gambiza Community Hall to under the trees because of the huge turned out after the Hall had failed to accommodate the huge number of participants. 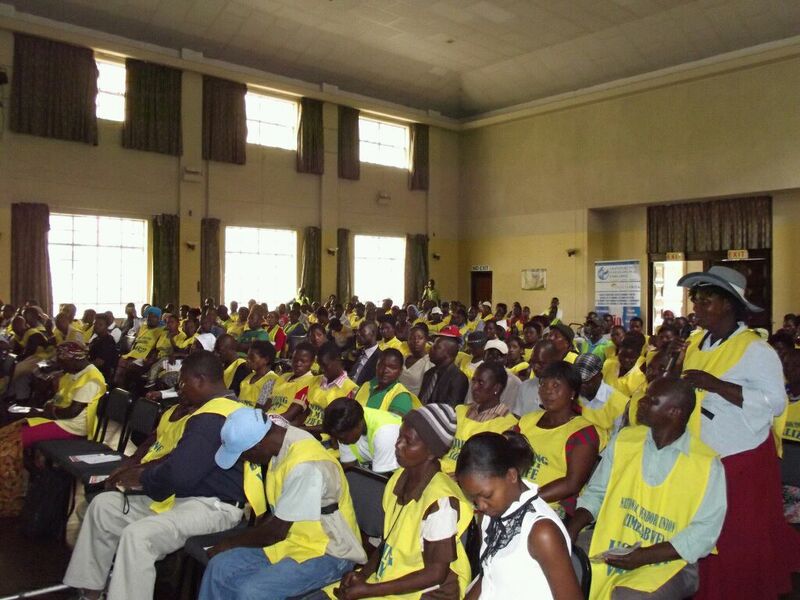 The Chiwundura Community/Street Parliament, which was held against the backdrop of the outbreak of Cholera and Typhoid that has so far claimed over 30 lives across the country, also sought to put in place a permanent post election engagement framework between street vendors and the elected officials so as to ensure that whatever challenges that emerge in the sector are addressed amicably without resorting to the use of force or employing means that threaten peace and security of communities. The issue relating to the provision of safe and portable water dominated the conversations. Ms Maguneyi who spoke on behalf of Community Heath Workers strongly urged the residents of Chiwundura to use safe and known sources of water in the area. In the same vein, she took the opportunity to give the list of the recognized safe water sources in the area. The local Councilor for Ward 4 Ms Musvere highlighted the importance of cleanliness and urged informal traders in the area to report to Community Health Workers any suspected case of Cholera or typhoid. During the plenary session, residents urged the elected councilors to walk the talk and formulate inclusive developmental projects in the area. Residents bemoaned the state of the road network from Gweru City to the rural parts of Chiwundura emphasizing that the current bad state has affected their ability to trade profitably. Further, the informal traders urged Councilors to work closely with VISET to ensure that they benefit from Trade facilitation and Safety nets interventions that are offered by the organisation both at local and national levels. With regards to the cholera and typhoid outbreak, VISET through its Executive Director assured the participants that there will soon be launching a coordinated response that seek to provide a space to engage authorities, educate the public on prevention and management of infections as well as develop a self-regulating mechanism that promotes responsible citizenship and trading among citizens and vendors.